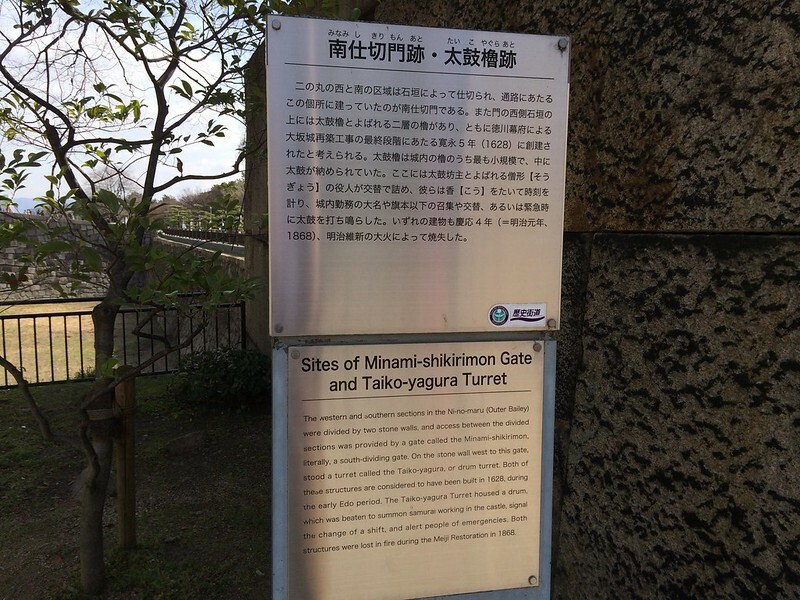 The western and southern sections in the Ni-no-maru (Outer Bailey) were divided by two stone walls, and access between the divided sections was provided by a gate called the Minami-shikirimon, literally, a south-dividing gate. 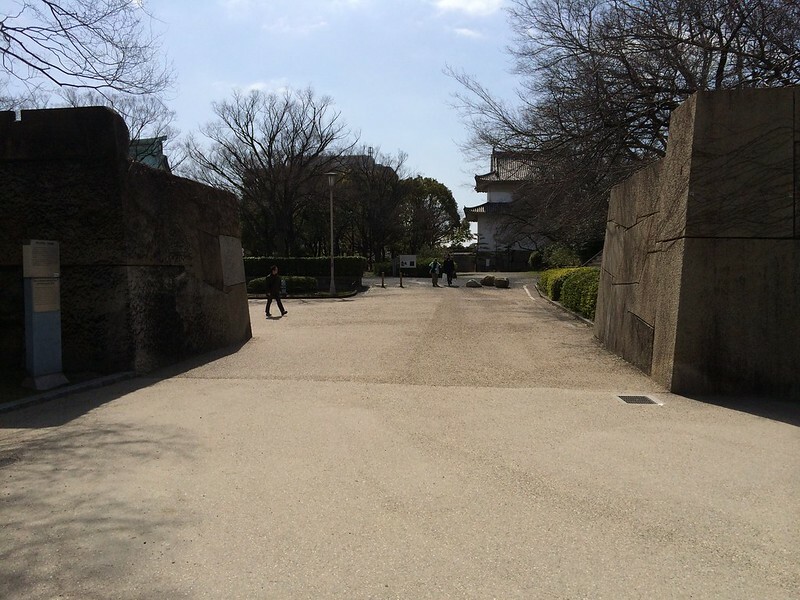 On the stone wall west to this gate, stood a turret called the Taiko-yagura, or drum turret. Both of these structures are considered to have been built in 1628, during the early Edo period. The Taiko-yagura Turret housed a drum, which was beaten to summon samurai working in the castle, signal the change of a shift, and alert people of emergencies. 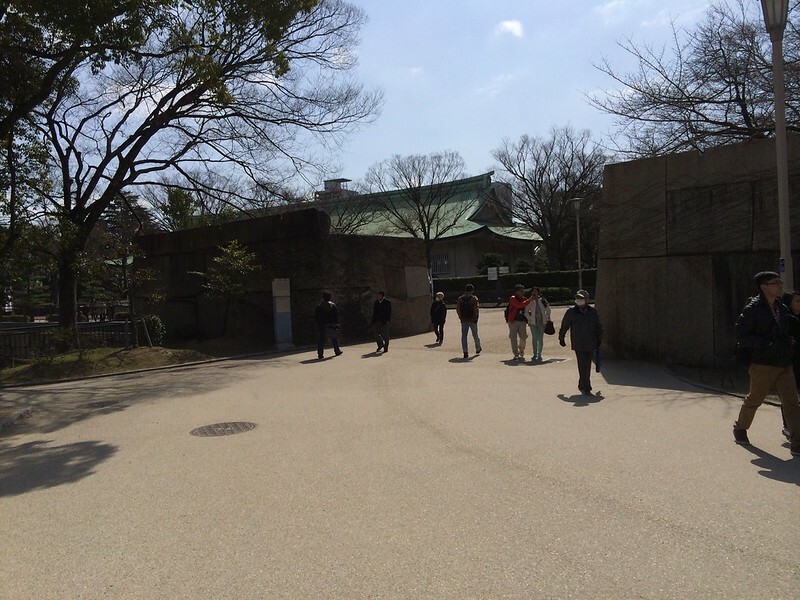 Both structures were lost in fire during the Meiji Restoration in 1868.